The city of Charlotte is a bustling center for business, travel, and entertainment in North Carolina. Home to the NASCAR Hall of Fame, Discovery Place, and Freedom Park, this southern city celebrates the fantastic weather and friendly people who call Charlotte home. Visitors to the city can experience an exploration of Civil War history or hike the gorgeous Charlotte walking paths, biking areas, and parks. When a dental problem arises, Charlotte also plays host to a variety of holistic dental offices that are open to cater to your dental emergency. The Emergencydentistsusa.com website is a great location for anyone who is beginning that search for a new holistic dentist in Charlotte. Just log onto our comprehensive website and scroll through the hand-selected holistic dentists provided. Then, click on the dental office that offers the services that you need. You can set up your first appointment, find driving directions, office hours, and even take a look at insurances accepted all on our Emergencydentistsusa.com website. All of the information that you need to make an informed decision about your new dentist is right at your fingertips. Need a little help choosing a new holistic dentist? Just call our toll-free dentist finder hotline to speak with a caring agent who is always available to help you with your decision. He or she can set up your first appointment, give you driving directions, and even help you choose a dentist. Remember to arrive about 15 minutes early to your dental appointment to ensure that you have plenty of time to fill out the new patient paperwork. Bring your dental insurance card, a photo ID, and any applicable copayment with you to visit your new Charlotte holistic dentist. Historic and romantic, Charlotte, North Carolina is a wonderful place to visit. It is also a great place to find a new holistic dentist. Scroll down to view three of our top dental choices below. Description: Biocompatible dental care that includes the removal of mercury fillings and the use of materials that are free of metal is the norm at Gorelik Dentistry. Your holistic dentist works hard to ensure a minimal impact on the environment while providing you excellent dental care. An experienced and friendly team is standing by to care for your dental issue. Description: Offering you healthy dental alternatives, this holistic dental office is both holistic and biological. Offering free consultations, Dr. Plascyk cares about each and every patient. From TMJ treatment to mercury or amalgam filling removal, this dental office provides all of the services that you need to maintain a healthy smile. Description: Computerized digital x-rays and photography along with intraoral cameras make this dental office state-of-the-art. Caring doctors and a friendly staff make it a pleasure for each and every patient. From general dental services to cosmetic dentistry, Cedar Walk Family and Cosmetic Dentistry is a favorite in Charlotte. The selection of a holistic dentist is a decision that means that you are taking an active interest in the health of your entire body, including your mouth, teeth, and gums. A holistic dentist provides many of the services that a standard general dentist provides with the added benefits of the removal of amalgam fillings and the use of biocompatible materials. From comprehensive digital x-rays that reduce radiation exposure by up to 80 percent to an office that is committed to reducing its environmental impact, a holistic dentist sees past the standard dental care and into a full body health program. 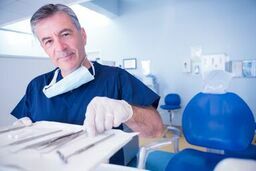 Any time you choose a new dentist in North Carolina, it is important to ensure that this dentist is properly licensed and credentialed for your state. Simply log onto the North Carolina Dental Society website to view current licensing and credentials for your dentist. Enter the dentist’s name in the search box and click “enter” and you are able to see any of the information that you choose, right online. You can also find this information by visiting the dental office prior to your first appointment. Many dentists keep this information on display for patients to view.